11:00am- noon | Children 5-8 | Hora de los cuentos bilingües con Tomas. Perfecto para niños aprendiendo inglés, español, o los dos. Para niños de 5 a 8 años. Bilingual storytime with Tomas. Perfect for children learning English, Spanish, or both. 11am-12pm | Grades K-2 | Children in kindergarten through second grade are invited to read a few pages from a favorite book or show their favorite illustrations to certified therapy dogs accompanied by their owners. Halle is a certified Therapy Dog with Pet Partners and will be accompanied by her owner. 11am-12pm | Families | Flor Bromley presents stories,music, movement, puppetry, and drama in a bilingual (English/Spanish) program for young children. 11am-12pm | Families | Have you studied English but want more practice speaking with others? The Library now offers adults an opportunity to practice and improve everyday communication skills in a friendly group. 5:00 pm–10:00 pm | Families | A festive fundraiser, the Barn Dance features pig racing, a country barbecue, a pizza truck, music by local bands, a campfire and more. Individual and sponsor packages available for purchase. Tickets may be purchased at the door. At the age of 85, U.S. Supreme Court Justice Ruth Bader Ginsburg has developed a breathtaking legal legacy while becoming an unexpected pop culture icon. But without a definitive Ginsburg biography, the unique personal journey of this diminutive, quiet warrior’s rise to the nation’s highest court has been largely unknown, even to some of her biggest fans – until now. RBG is a revelatory documentary exploring Ginsburg ‘s exceptional life and career from Betsy West and Julie Cohen, and co-produced by Storyville Films and CNN Films. Grand Opening Weekend is September 28, 29 and 30. Shop and Eat Local. Visit our famers market and see goods from over 20 unique vendors. 11:00am- noon | Infants & babies up to 18 months | Baby Lap Time combines stories, songs and finger plays for infants and babies up to age 18 months with parent/caregiver. 4:00-5:00pm | Ages 3-5 years | This program is for children ages 3–5 years, includes stories, songs, and a take-home craft, and takes place weekly. Drop in! 4:30pm | ages 8-11 | Do you like to write? Do you have fun creating with words? Come and write for FUN! No pressure, no testing, no stress. Just relax and write! This program will run for 6 weeks and will be led by JJHS student Steph Folger. 6:00pm | Come and enjoy creative company. All levels are welcome! 1:00pm-2:00pm | Join Toni Russo for Chair Yoga, one of the gentlest forms of yoga available. This approach uses the support and safety of a chair to adapt yoga positions. Emphasis will be on breathing, balance, and finding your own pace. All ages and beginners welcome. Free of charge. 4:30pm| Recurring Event | (See all) Join our local Lego expert Zach for a Lego Free build. All ages are welcome. 7:00pm | Teens- Adults | Travel with acclaimed nature photographer, Taylor Lockwood, across the globe to find the most beautiful bioluminescent mushrooms in the world! Experience adventurous stories and alluring images of mushrooms. An evening for all ages. This event is sponsored by the Connecticut-Westchester Mycological Association (COMA), an amateur mycology club serving lower NY and southwest CT. COMA is an educational club devoted to the understanding of the world of mushrooms and fungi, and is affiliated with the North American Mycological Association. Drop in for Story Times. Please join our mailing list to receive program offerings and schedule changes. 2:00 pm – 2:30 pm | Pre-schoolers |Storytime for preschoolers with adult. No registration required. Different theme each week. 11:00am | 18 months-36 months | Mother Goose Time introduces children ages 18 months–36 months with parent/caregiver to stories, songs, finger plays, and movement activities. This program is led by a professional musician/educator. 4:30pm |All ages | Join us in the Children’s Room for a special Pirate Storytime! Amnesty for “Treasure”! Pirates Unite! Please bring in food donations for the Community Center of Northern Westchester. In exchange we will remove $5 off of any current library fines. 8:00pm | Teen-Adult | In the early 1950s, an eleven-year-old boy in Colombo boards a ship bound for England. At mealtimes he is seated at the “cat’s table”—as far from the Captain’s Table as can be—with a ragtag group of “insignificant” adults and two other boys, Cassius and Ramadhin. As the ship crosses the Indian Ocean, the boys tumble from one adventure to another, bursting all over the place like freed mercury. But there are other diversions as well: they are first exposed to the magical worlds of jazz, women, and literature by their eccentric fellow travelers, and together they spy on a shackled prisoner, his crime and fate a galvanizing mystery that will haunt them forever. By turns poignant and electrifying, The Cat’s Table is a spellbinding story about the magical, often forbidden, discoveries of childhood, and a lifelong journey that begins unexpectedly with a spectacular sea voyage. 11-11:30am | Baby Lap Time combines stories, songs and finger plays for infants and babies up to age 18 months with parent/caregiver. 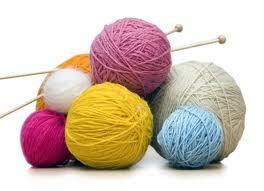 1:30pm – 2:30 pm | Adult knitters of all abilities are welcome to join this group facilitated by Margaret. Initial supplies for beginning knitters will be provided. Learn from one another, exchange patterns, techniques and ideas. The group will meet in the Biography Room. Please call 914-234-3570 to register. 11:15am – 11:45am | Pre-schoolers | Storytime for preschoolers with adult. No registration required. Different theme each week. 10:00am | Adult | Explore the most dramatic and fascinating structures that nature has created. Three distinct locations will be examined each Thursday session. The Great Courses program is curated and facilitated by Harry Stanton. 3:00pm-4pm | Young children | Come and explore! Small table activities for young children. Play dough, Rice, Manipulatives, and such. 4:30pm | Come listen to music and color with a variety of coloring sheets. Some very detailed some with larger images. 11:00am |Children with parent/caregiver | Family Storytime engages children and their parent/caregiver through music, movement and stories. A variety of materials are used for storytelling such as a felt board, puppets, musical instruments and filmstrips. This program takes place weekly and is a drop in program. 4:15-7:30 pm. Enjoy an order of fresh produce delivered to the library each week. Produce is delivered on Tuesday afternoons. Saturdays 10- 2:00m | Breads & Baked Goods, Fresh Vegetables, Seafood, Jewelry and more. While at the Homestead, farm market shoppers can also enjoy a walk, sight see and explore flower, herb and vegetable gardens or picnic on the historic grounds of John Jay Homestead. From movie nights, to food trucks, live music and dancing under the stars, there is always something fun and educational going on at the Homestead! View our full schedule of events through October 2018. Some events require advanced registration. 12:00 pm – 2:00 pm. | All ages | Through Oct 26, 2018 | 400 Jay Street Katonah. Pack a picnic and spend the afternoon at the Homestead; explore our 6 Discovery Centers and visit our chickens. Education staff will lead a short hands-on activity at 1:00pm. This tour is offered at 2pm, Wednesday through Saturday, September 1st through September 15th. Happy birthday Lafayette! John Jay and Marquis de Lafayette formed a friendship during the American Revolution that would last for the rest of their lives. In honor of Lafayette’s birthday on September 6, 1757, join us on a tour that examines the relationship between these two men, their common beliefs, and commitment to freedom. Regular admission fees apply. The Learning Center transforms seasonally with new projects and materials that extend, expand, and deepen the gallery experience. NEW ART LABELS FOR KIDS!!! The KMA introduces eye-level labels explaining art to kids in a fun, understandable way. Bring your child into the galleries and interpret the materials of art together. Also, pick up a themed interactive ImagineIt! bag to use around the KMA campus. The new installation of our hands-on, family-friendly studio space evokes memories, stories, dreams inspired by reminiscent places. Enjoy weekly changing art activities in an open-format studio environment on the theme of summer memories: collage, paint, assemblage and photomontage. Experiment with creating a story in motion using characters and settings in our retro Projection Nook. Art Within Nature” by artist Robert Uricchio. 12:00 noon-4:00pm | Family | Visit the historic Muscoot Farm mansion and enjoy the “Art Within Nature” by artist Robert Uricchio. As a person who loves nature and being outdoors, it seems only natural that I would take my camera along on hikes, drives and trips, in order to be able to capture a moment or place it time. Through my images I hope to share with you some of the beauty, splendor and freedom of nature and the outdoors that I have experienced and enable you to bring a piece of it into your world. Museum passes are available to adult Town of Bedford library cardholders in good standing (fines less than $10). The Town of Bedford includes the Katonah Village Library, Bedford Village Library and Bedford Hills Free Library. Only one pass per family may be borrowed at a time. The maximum loan period for passes is 3 days: one day to check out the pass, one day to visit the museum and one day to return the pass. Passes may not be renewed. A fee of $10.00 will be charged each day that the pass is late. Passes must be returned in person to the circulation desk during library hours. Passes may not be returned in the book drop. There will be a fine of $5 for passes left in the book drop. To discuss volunteer opportunities at Westchester Land Trust, please contact us! Send us an email here or call us at 914-234-6992, ext. 21 Click here to fill out our volunteer questionnaire! The Town of Bedford is pleased to provide this free listing of community events and other offerings in our community. We hope that this service is helpful to our residents, businesses and visitors. Civic groups, not-for-profit and charitable organizations are welcome to submit announcements for inclusion in the calendar to pcohen@bedfordny.gov. Please submit your announcement by Thursday noon and include your contact information. Please note that the Town reserves the right to decline submissions promoting commercial, political, religious or private activities. We also are not responsible for inaccurate information, including but not limited to incorrect dates, times, and locations, posted in the calendar. Please refer to the Town’s website for official announcements and notices. Thank you!